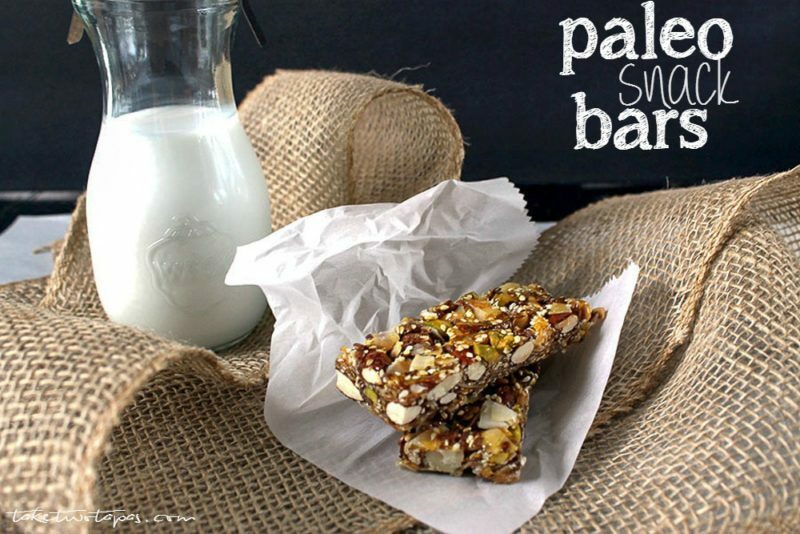 The highlight of these Paleo snack bars are the toasted pepitas! A healthy snack that is packed with a variety of nuts and seeds and brought together with honey! All natural and gluten-free! I love saying the word pepitas because it makes me sound like I actually know something about food. 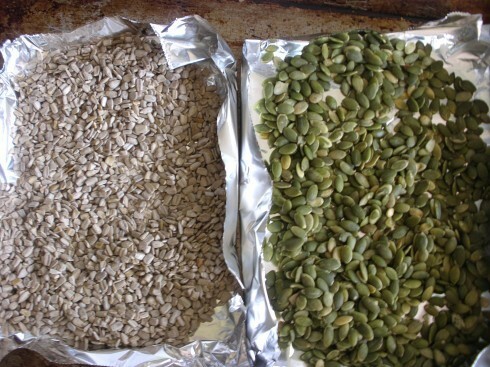 A wonderful memory I have of childhood is eating pumpkin seeds, only at Halloween of course, and only after they were roasted in the oven after being bathed in butter and salt. They were such a delicious snack, the seeds would last for about 5 minutes before I gobbled them up with wild abandon. They also shine in my Paleo Snack Bars! Remembering how much I enjoyed being elbow deep in a pumpkin, scooping out slimy orange strings dotted with white seeds, made me smile. I would meticulously remove the seeds from their fleshy bindings and rinse them while trying to keep them from slipping through my fingers and into the drain, mourning the loss of each and every seed that got away. Can you have a memorial service for seeds? Mom only bought pumpkins at Halloween. She would always say, “If you want pumpkin, you can get it in a can, and it’s cheaper and cleaner than buying the whole thing! Plus, you don’t like to eat pumpkin, so why should I buy another one?” Little did I know that you could buy those precious, tasty gems at the store. Only they are green and not white and called pepitas (lol)! What’s up with that? I always ate my seeds with the hull (white seed coating) intact. I stuffed them in my mouth so fast I never noticed the little green seed inside their shell. Thinking back, I got a lot of extra fiber eating that hull! When I got inspired to make these bars, I wanted to eliminate the oats and grains so I could eat them on my paleo diet but also because I love nuts and seeds so much and greedily wanted a bar that highlighted just them. To add texture and flavor to the bar, I toasted all the nuts and seeds which brought about a delicious side effect. Before you get started with the honey mixture, make sure all your nuts and seeds are toasted. Since they are all different sizes, I would advise toasting them separately. I make foil boats to hold each different seed type so I toast all at once. Then I remove the smaller ones as they get done, leaving the larger ones more time in the oven. 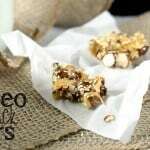 Paleo Snack Bars made easy! 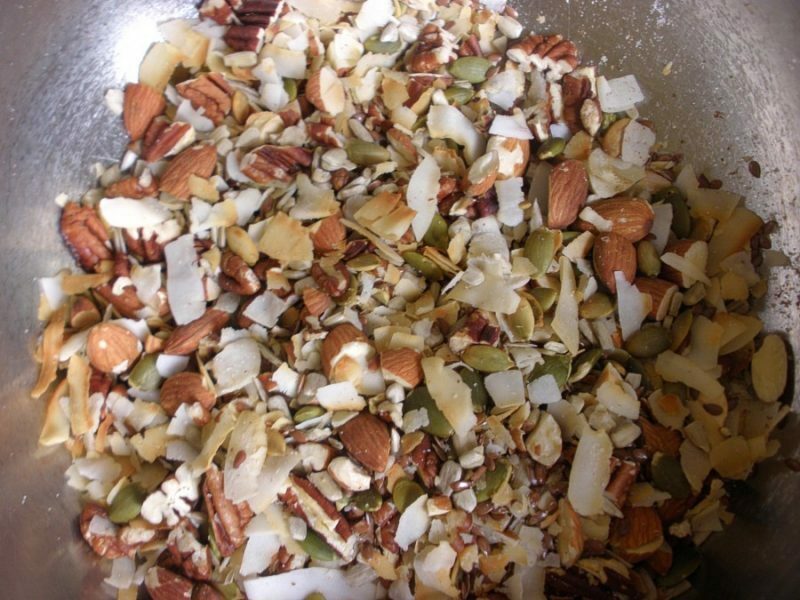 Once all nuts and seeds are toasted, cool them down and roughly chop the almonds and pecans. I leave all the other seeds whole because this makes the bars look pretty! *Tip: I toast all my seeds in large quantities and use the extras for yogurt, salads, additional batches of Paleo snack bars, and other snacking opportunities. Grease your pan with coconut oil or some other cooking spray and line with parchment paper. Put your honey and water into a heavy-bottomed pot over medium-high heat. Insert a candy thermometer into the mixture (not touching the bottom of the pot) and stir the mixture. Keep an eye on the thermometer, and let the honey mixture cook until it reaches 275F or the soft crack stage. I know some may think that it should be 260F (soft ball stage) but every time I cook to 260F, the bars would turn out to be too sticky and did not hold together well. I cooked mine until it reached 275 and immediately removed from the heat and poured over my nut and seed mixture. Stir quickly to coat all the seeds evenly. Sprinkle your salt in at this point and give one last stir. If you like your bars salty, you might add a pinch more. Pour into a parchment lined 8×8 square pan. Press down with the back of a greased spatula to make the Paleo snack bars spread out to the corners of the pan. This took me a few tries to get right without them being thicker in the middle of the pan. Practice makes perfect! Don’t worry, your family will gobble these up and you’ll get plenty of practice making batch after batch. Once they cool for about 10 minutes, go ahead and cut the bars. Let them cool completely in the pan. If you let them cool completely before cutting, it will get harder to cut them evenly. Wrap in parchment paper and store in an airtight container. They will last a week, but mine barely makes it 2 days before they are gone. You can also slice them into squares and dip them in chocolate. Here is a recipe for my Chocolate Dipped Paleo Snack Bites. These Paleo Snack Bars are your new go-to snack for when you are watching your weight or just need a high protein snack to keep you going for the rest of the day! The highlight of these paleo snack bars are the toasted pepitas! 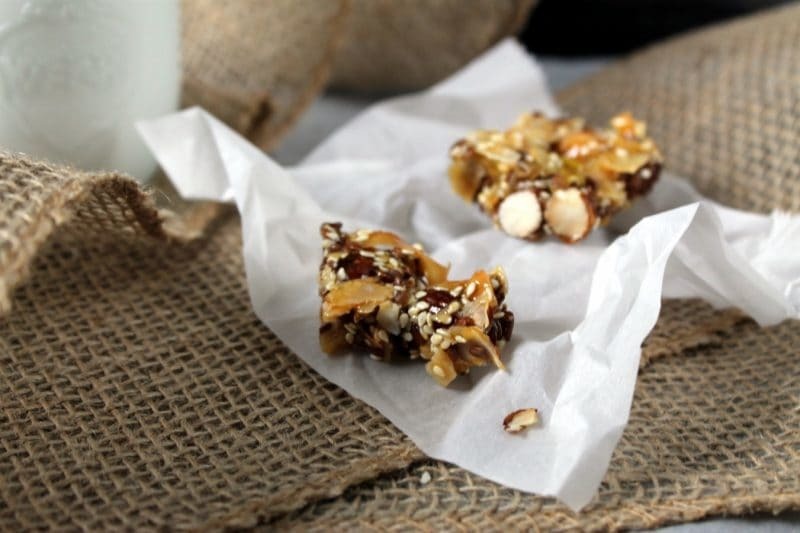 A natural and gluten-free snack packed with nuts and seeds and brought together with honey. Gluten-free too! Make sure to toast all your nuts and seeds prior to starting the honey mixture. Pour the honey and water into a heavy-bottomed saucepan. Insert a candy thermometer into the mixture (not touching the bottom of the pot) and stir the mixture. Keep an eye on the thermometer, and let the honey mixture cook until it reaches 285F or the soft crack stage. Immediately remove from the heat and pour over the nut and seed mixture. Stir quickly to coat all the seeds evenly. Sprinkle your salt in at this point and give one last stir. If you like your bars salty, you might add a pinch more. *If you like this recipe, leave me a comment and don’t forget to rate it with some stars! I’ve been looking for great, healthy on the go snacks. These look so good. I can’t wait to try them. do you know how many calories in one bar? Can’t wait to make these! By my calculations, they run 172 calories per bar at 10 bars per batch. I hope that you like them and that they help you with your snacking/fitness goals. Thanks for reading! For a treat I have a dark chocolate dipped snack bar bites that are great too. Same bars but smaller with some dark chocolate added. Check them out too! These look SO good! I love this type of thing that you can just grab and go on busy days! I make sure I always keep a batch on hand. 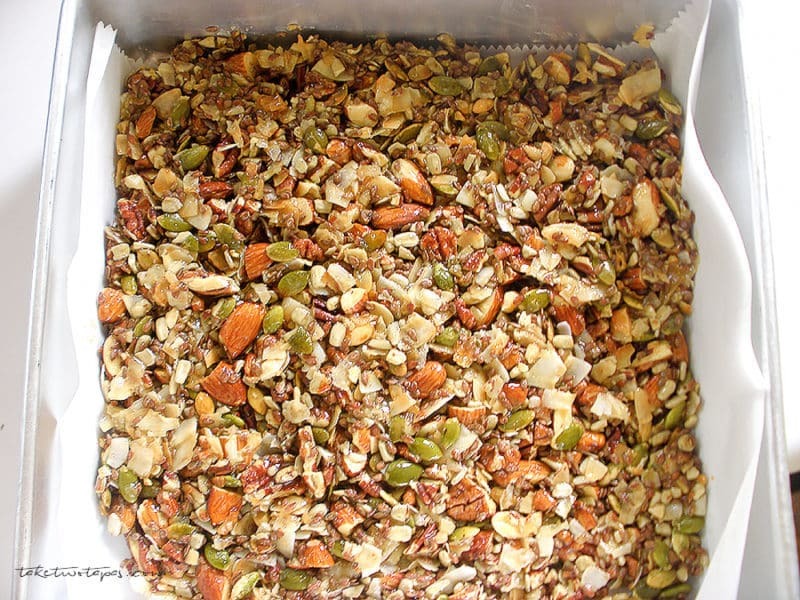 Plus it is a great way to use up those tiny amounts of seeds and nuts that you have left over from other recipes! Thanks for reading Lauren! I love making my own bars with toasted seeds! It drives me crazy when other people don’t toast them before baking the bars– yours look perfect! I’ll defintiely be trying this recipe soon! Pinned! Thanks Stacey! I had a friend that mentioned to me that she toasts her pecans before she makes pecan pies and that has made all the difference. Now the nuts actually taste like they are supposed to! I hope you like them! I love all the flavors going on in these bars, and how healthy they are! They’re be perfect for a mid-morning or mid-afternoon pick me up! Great for an afternoon pick me up! All those nuts will keep you happy until dinner:) I want to make some with chocolate next. I love these bars, so healthy yet so delicious. I definitely need to make a batch for on-the-go snacking. I always keep one or two in my purse. You never know when you are going to get stuck in line or at an office waiting and get hungry! Those look amazing and I love the idea of toasting extra nuts for salads! Thanks Kathy! I keep all kinds of toasted nuts around for snacking but started adding them to all kinds of other things like salads and veggie sidde dishes. 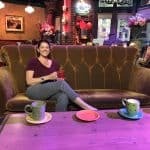 What an awesome bar! And to only have to use honey and water as a binder, that is genius! These certainly helped me kick my refined sugar addiction! Thanks for reading Ally! Oh wow, these look amazing. Of course, it’s hard to go wrong with all of those delicious ingredients! Well these sounds heavenly! I love pumpkin seeds! I remember the one time I ever carved a whole pumpkin as a kid, my dad made sure I saved the seeds, cleaned them off, and then roasted them in the toaster oven. They did taste like pure natural bliss! That was always my favorite part of Halloween but I was sad because there were only so many seeds! Now that I can find them in the stores I eat them all the time!